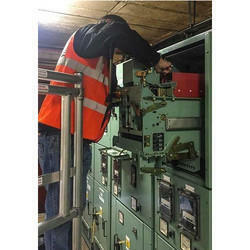 Our range of services include low voltage switchgear maintenance service. To ensure that Low voltage switchgear and especially circuit breakers retain the operating and safety characteristics specified by the manufacturer it is recommended that entire electrical installation undergo annual maintenance. We offer initial and periodic verifications of electrical installations which are carried out by qualified personnel.